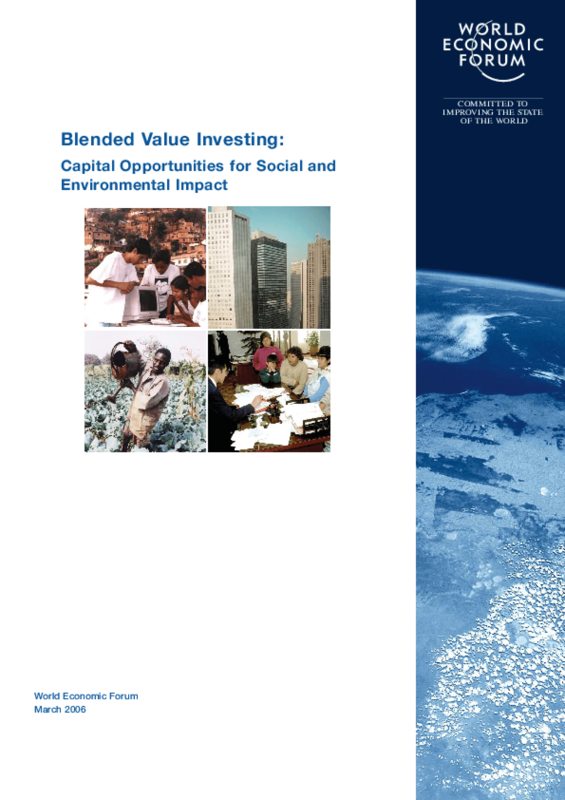 This paper is offered not as a fully comprehensive survey of the emerging area of blended value investing, but rather as a set of examples of how such investing practices are being developed and applied around the world. The paper's intent is not to provide a single answer for all investment challenges, but to demonstrate how groups of investors are mobilizing capital on new terms to meet the challenges of emerging investment opportunities, as well as the demands of investors seeking out new asset classes in which to place their capital. This paper presents innovations in capital finance that promise to bridge market-rate interests with strategic opportunities to create blended value that benefits shareholder and stakeholder alike. The following examples speak to an evolving capital convergence wherein mainstream capital markets and investing will increasingly become drivers of new solutions to historic problems. Blended value investing funds and instruments offer financing strategies a set of tools that go beyond traditional philanthropy or market rate investing and which complement the vision we all share of a world with greater equity and opportunity for its members. This paper also identifies several areas of research that would help advance the field of blended value investing. Finally, the paper concludes with words of caution that suggest a prudent approach to developing blended value capital markets. It offers a critique of the state of the markets, presents a strategic vision for the blended value capital markets, and suggests specific steps that participants might take in moving toward the ideal. Copyright 2006 World Economic Forum.